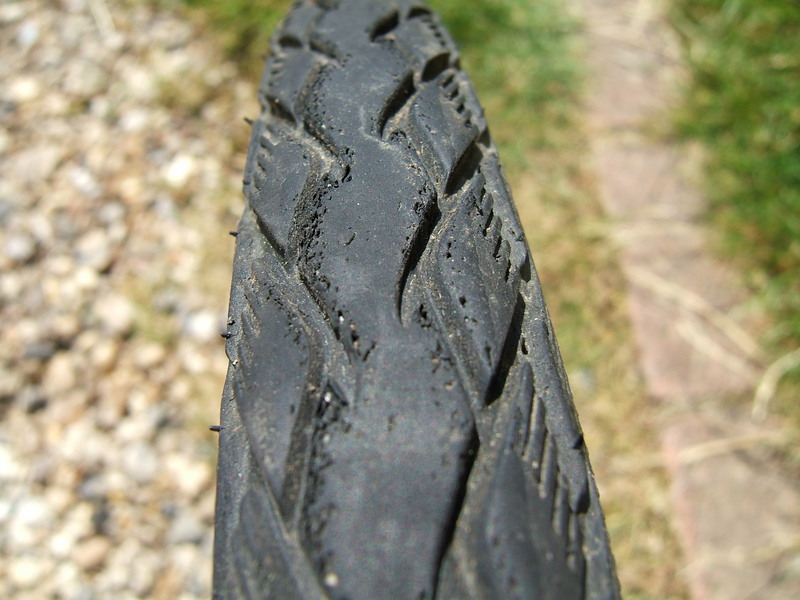 I’ve cycled a fair distance in the last five years – 42,000 miles – and have done the vast majority of that distance on one type of tyre, the ever-popular Schwalbe Marathon. But six weeks ago I decided it was time for a change, and time to fit the Panaracer Minits Tough tyres that I had bought two years ago after a recommendation from fellow trike rider John Eady. The previous 40,000 miles hadn’t been entirely with Schwalbe Marathons though. The trikes were originally supplied with Schwalbe Marathon Racers (the ‘faster’ version) but I found they were puncture prone and swapped them for something a bit better after 1,000 miles on the original trike, especially as they were already down to the canvas at that point. My second trike kept its original Marathon Racers for 500 miles until I had two punctures in one ride on those and I took them off and swapped for Marathons. I’ve also run Schwalbe Big Apple tyres (which are extra fat and comfy) on the old Trice Q for 1,000 miles but they, too, suffered from early wear and less puncture resistance and they were also really hard to get on the rims evenly – they often had buckles in the sidewall which were very awkward to get out. 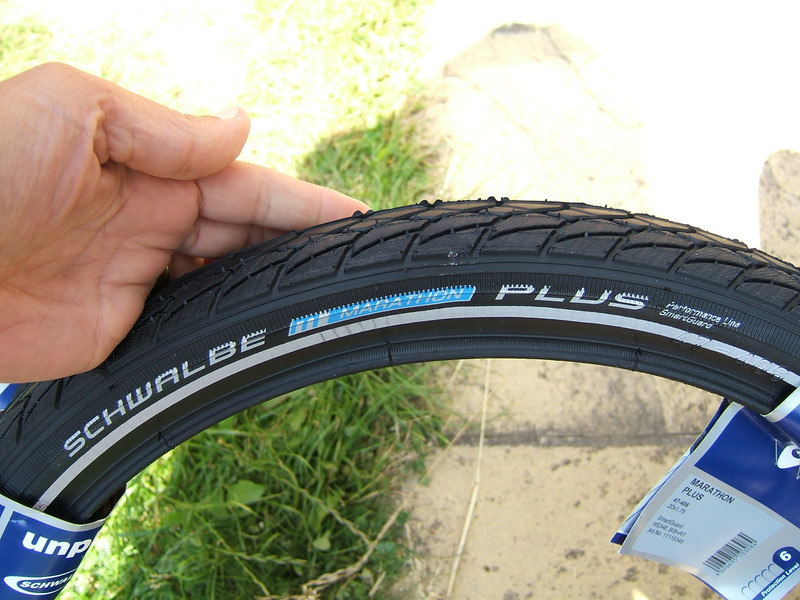 After several people had recommended Schwalbe Marathon Pluses I also tried those. Never again! They may be virtually puncture proof (although I did get one puncture with them) but they are very hard to fit and the rolling resistance is awful – you feel like you’re cycling through treacle the whole time! They knocked a mile per hour off my average speed which was far too much, especially as a puncture repair only takes about ten minutes and I sometimes didn’t have punctures on normal Marathons for several months. The 1mph off my average speed for a month works out at nearly six hours of extra riding each month for the distances I was regularly doing! So anyway, I’ve done about 36,000 miles overall on the reliable and reasonably puncture-resistant Marathons. I like them! Where I live we are ‘blessed’ with country lanes with millions of tiny flints. 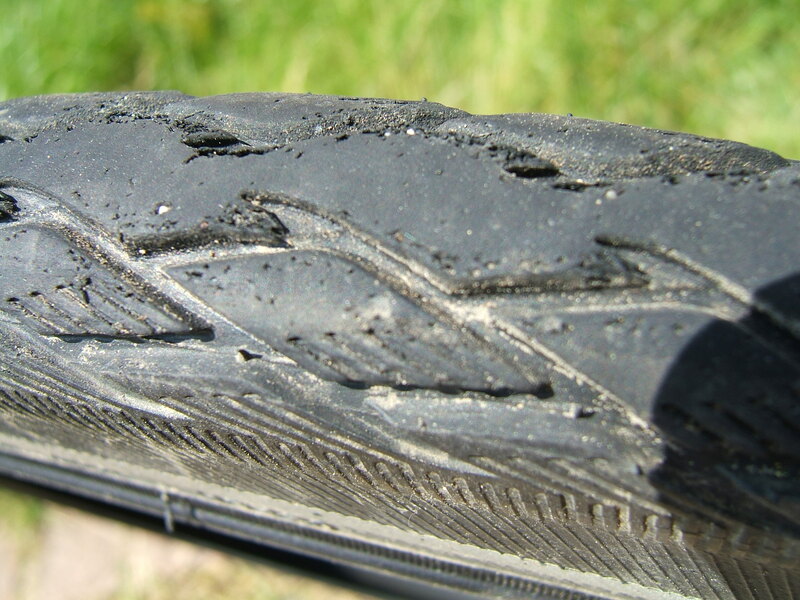 The Marathon tyres pick up the flints and embed them in the rubber but rarely let them right through, fortunately! 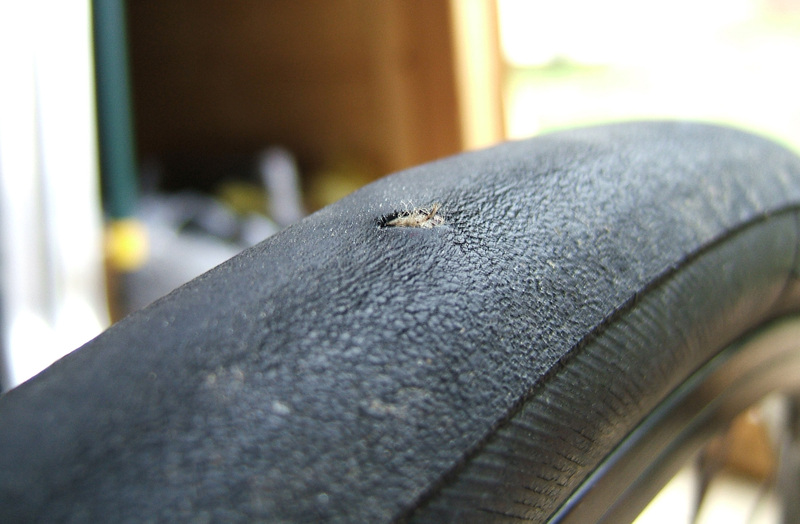 However, if you do get a puncture it’s important to find the corresponding sharp spot in the tyre to remove the flint or thorn that is almost certainly embedded in the tyre else you will get another puncture immediately with your fresh tube. Puncture resistant Greenguard – this is fairly effective. 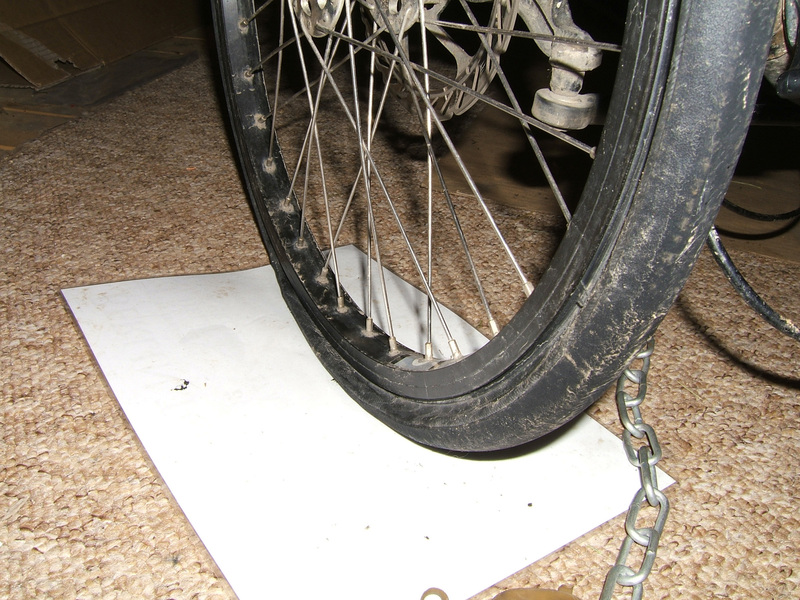 Rolling resistance – not too bad, you don’t feel like you’re having to work too hard to get the trike moving. 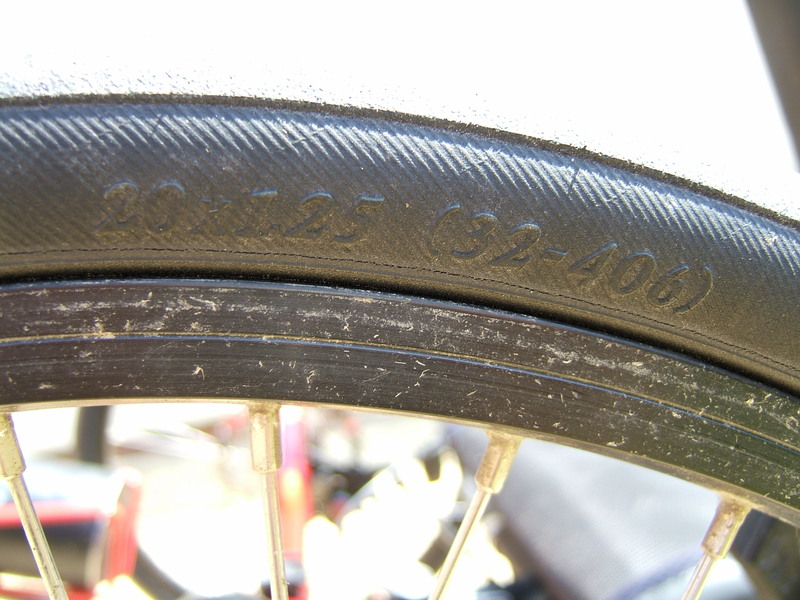 Longevity – these tyres last for 3-4 thousand miles on my front wheels which is fairly good. Obviously in winter they get more cut up but in summer they do very well. 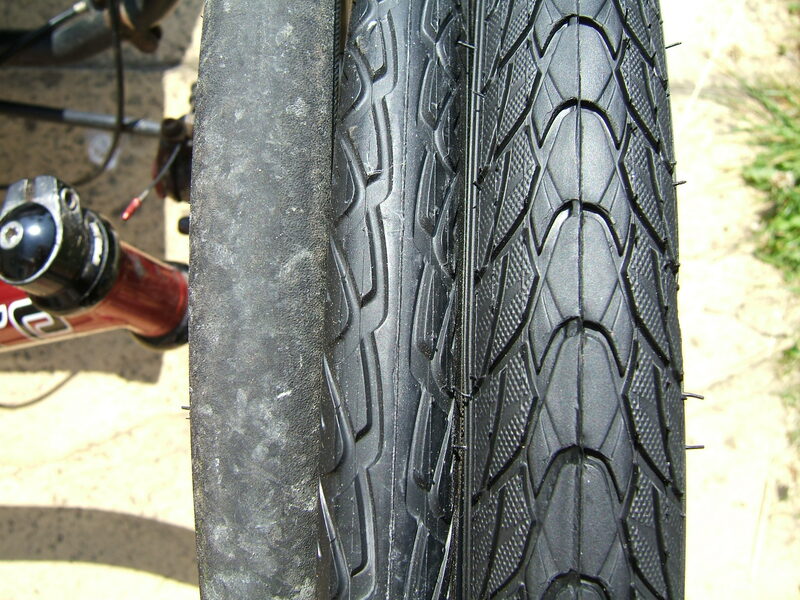 The rear tyre lasts between 6 and 10 thousand miles usually (it has less weight/wear). Still, it’s always nice to have a change and I’d heard a lot about how different tyres can help you to go faster. I’m more tortoise than hare so faster sounded good. I had bought the Panaracers two years ago and immediately thought ‘they are too thin to provide any puncture resistance’ so had put them in the shed and mostly forgotten about them. However, we appeared to be in a bit of heatwave with no rain at all and I thought the sunny, dry conditions were ideal for fast racing tyres and so I’d give them a go. What are the Panaracer Minits Tough like? Note that there is no reflective sidewall detail so these would not work well for me in Germany (I’d have to buy some spoke reflectors instead if I wanted the trike to have these in the Fatherland). They also run at higher pressures than the Schwalbe Marathons – between 65 and 100 PSI (4.5-7 bar). As a consequence the ride is harder and rougher but definitely quicker! There was also a slight issue of failing puncture repairs at this high pressure. I usually patch my tubes over a dozen times before throwing them away – the patches generally work really well. However when I first fitted the Panaracers and pumped them up to 85psi it caused one of the patches to fail and I had to change the tube. This patch had worked perfectly well in the Marathons at 60psi. They were 1.25″ wide rather than the 1.5″ of the Marathons, 1.75″ of Marathon Pluses and 2″ of the Big Apples. This meant I had to do a whole new lot of bike computer calibration to to Garmin satnav as my wheel diameter had changed! They were also significantly lower profile. This meant they looked pretty smart! However the low profile had both advantages and disadvantages. The main advantage was in cornering as they cornered much better; the Marathons tend to squirm around a bit if you corner really fast on an adverse camber but these Panaracers felt more secure and solid. They were much sharper turning in and had less understeer – they made the trike feel more stable (not that it feels unstable usually). The disadvantage was that I had more examples of heelstrike, something I get occasionally on the trike (my heel hits the floor during the pedal stroke because of a bump or something). This happened far more with the Panaracers. It’s never a real problem, as such, but can be a bit startling. The Panaracers are very easy to get on and off the wheel rims. I can get them on just using my hands (I don’t need tools) and they are easy to get off using a tyre lever. 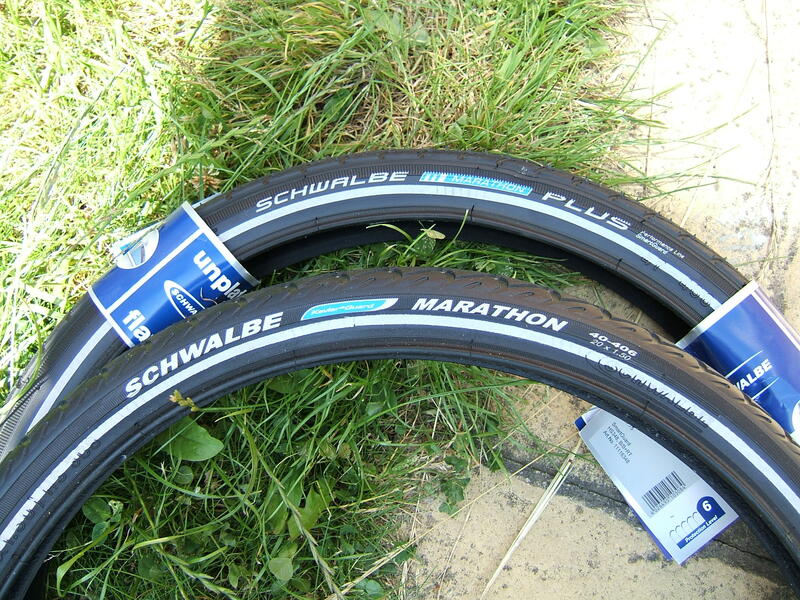 Comparing this with various travails with Schwalbe Marathon Pluses was quite interesting! One extremely noticeable difference between the two types of tyres was the noise. Finally my trike made that high-pitched whooshing sound rather than the deep rumble that normally followed me around. The slick tyres at high pressure with a hard rubber compound sounded utterly different – they sounded fast. They also sounded rather noisy, particularly when riding in situations were you could hear echoes (such as beside brick walls) and it was something it took me a long time to get used to. The tyres were £22 each when I bought them two years ago so more expensive than the Marathons but I thought it worth a punt. So overall I liked them and I particularly liked the increase in my average speed by 0.7mph. Over my average of 750 miles per month that’s a not inconsiderable time saving. It was great to go out on a thirty mile ride and to average over 13mph for the whole ride – when I started triking five years ago I would be lucky to average 10mph for that distance, so I was now saving nearly forty minutes on that distance. However there was one big problem with these tyres, best exemplified by this photograph. This was a very familiar sight, both in my shed (like here) and out and about on the roads. In the dry the tyres were reasonable, getting punctures now and again but generally being reasonably reliable as long as I didn’t go off road or through gravelly patches, but as soon as it rained… pfffffffft, instant puncture! I’m writing this blog post on a rainy day when I had three punctures in 18 miles – that’s no fun at all! One advantage of the tyres not having a puncture guard layer is that the flint or thorn or whatever causes the puncture isn’t usually in the tyre any longer when you go to change the tube so getting back on the road is quick, but today’s punctures two and three were caused by the same tiny flint, so it’s not always the case! I also found that after just 1,203 miles (when I changed the Panaracers and put Marathons back on) that there were some pretty significant cuts on them. This deep slice had actually been on this tyre for three weeks and hadn’t caused a problem but the tyre is bulging a bit at this point and I expected it to fail in the near future if I hadn’t taken the tyres off. 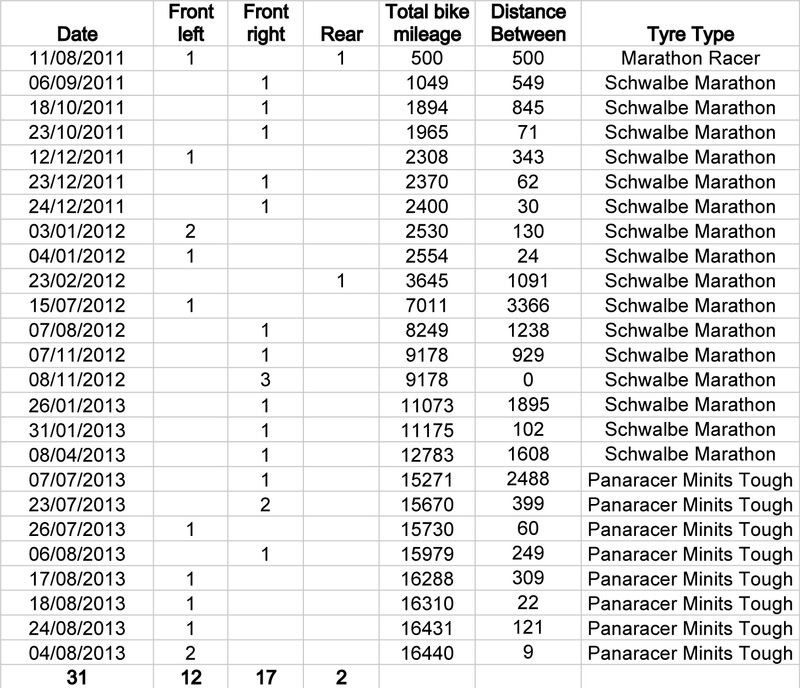 And the real evidence of the puncture situation is here, in my little spreadsheet of all punctures for Alfie the trike. Notice how the Panaracers seemed to struggle on the left hand wheel which is usually in the cleaner road surface. When I fitted them I’d had 2,488 miles without a puncture and I had an instant patch fail with the new tyres – the maximum distance I travelled between punctures was 399 miles – not good. I once did 6,200 miles between punctures on Schwalbe Marathons on the old trike. So despite enjoying my extra 0.7mph average speed with these tyres, as soon as the rain falls I end up at the side of the road changing the tube or (as happened today) phoning home for the Broom Wagon. The tyres are fast, good at cornering, easy to get on and off and a fair price but I feel that after 1,000 miles they have too many cuts and holes and that I want to be able to ride in drizzle or rain without being concerned that I’ll get yet another puncture. So what for next summer? A very kind Dutch velomobile rider gave me a set of Schwalbe Kojak tyres which are fast but look to have a harder and thicker compound. Next summer I shall try those and see how it goes. 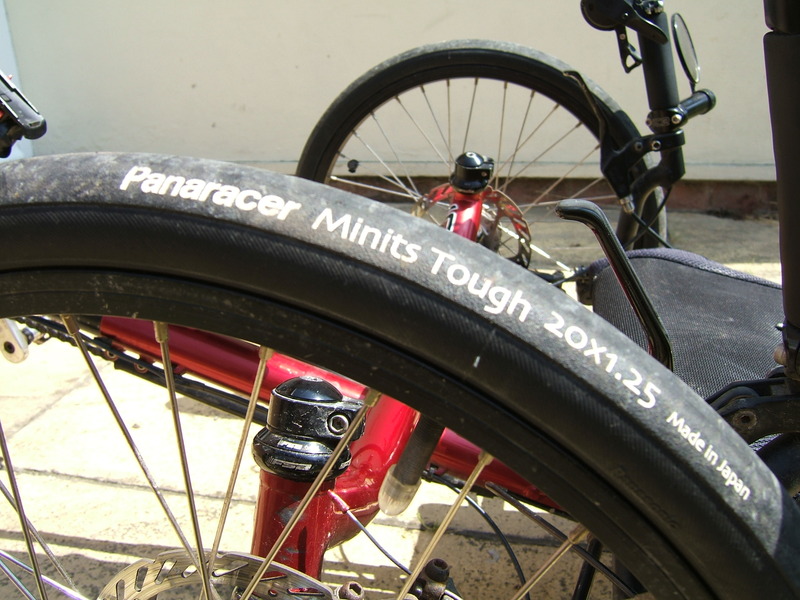 I won’t be buying the Panaracer Minits Tough tyres again. I am also aware that Schwalbe now do the Tryker, a tyre especially for trikes. This is now the standard tyre that ICE fit when supplying their new trikes. I expect I’ll buy a pair of these to try out in the near future. Oh, and throughout all this the rear tyre has stayed as a normal Marathon. I change the rear tyre every 6,000 miles or so and the current one’s been on since May (2,500 miles) and looks pristine. It’s good to read of another UK triker’s rides, they seem to be few and far between. 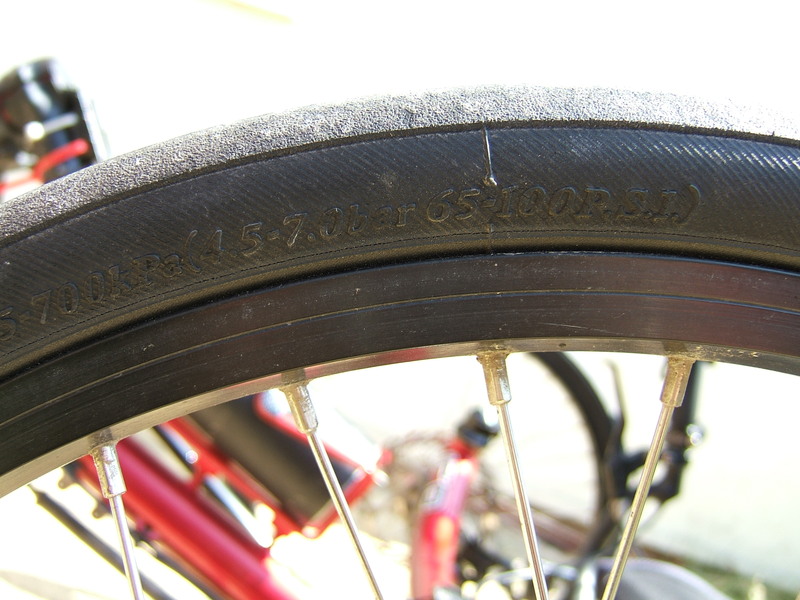 Your tyre article is very interesting as my trike is fitted with the Marathon brand. 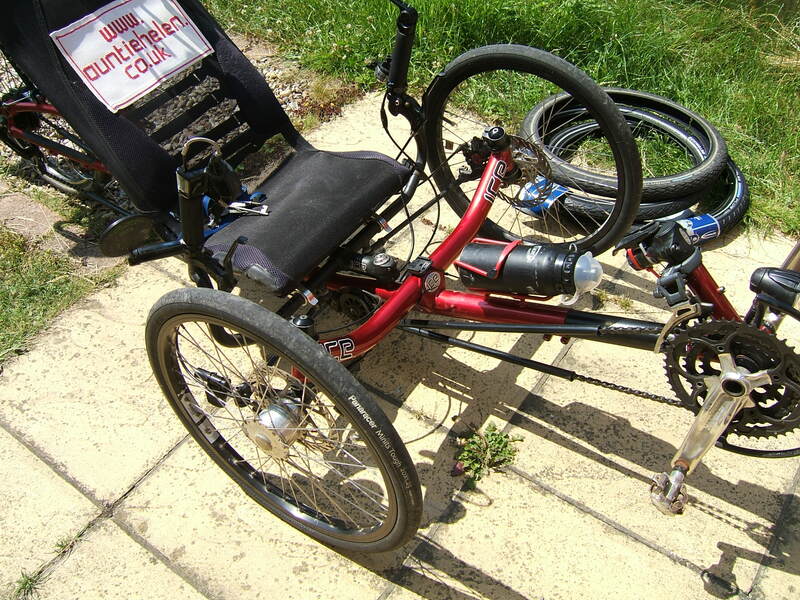 I follow Steve Greene’s Trike Asylum’ website and he swears by the Marathon Plus with Earthguard liners and extra tough tubes but then he does do very high mileages on his trike adventures and dislikes having problems with punctures. 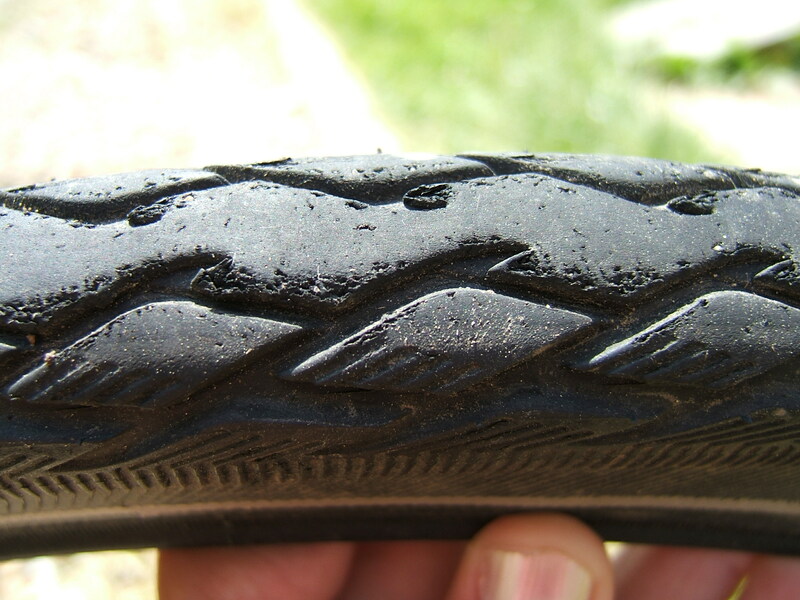 Touch wood, I’ve found few problems with flat tyres since getting my ICE ‘T’ some five years ago, certainly far fewer than when I rode on two wheels. I do possess a set of Schwalbe Kojac tyres that I bought to try racing with the British Human Power Club. I keep thinking of trying them on the road but they can be a bit of a pig to get on evenly so for the moment they sit in a cover bag in my bike shed. If your rides get you around the north west do give me a call. Hi Auntie H, my miles so far have all been on 47-406 Marathon + and must be “slow” but having no other tyre experience to compare with yet, it seems “normal” to me! I have had the rear one off a few times to swap with a Marathon Winter, and check wheel true, so have got the hang of getting the thing on and off without swearing at it. They start to sing on the road about 16mph, like the town and country tyres on a Landrover. This to me seems to indicate some wasted energy. Ideallly I would like an efficient tyre which resists punctures as well as these, I really don’t relish the idea of fixing one in the dark on a damp ride to work so have kept using the M+. 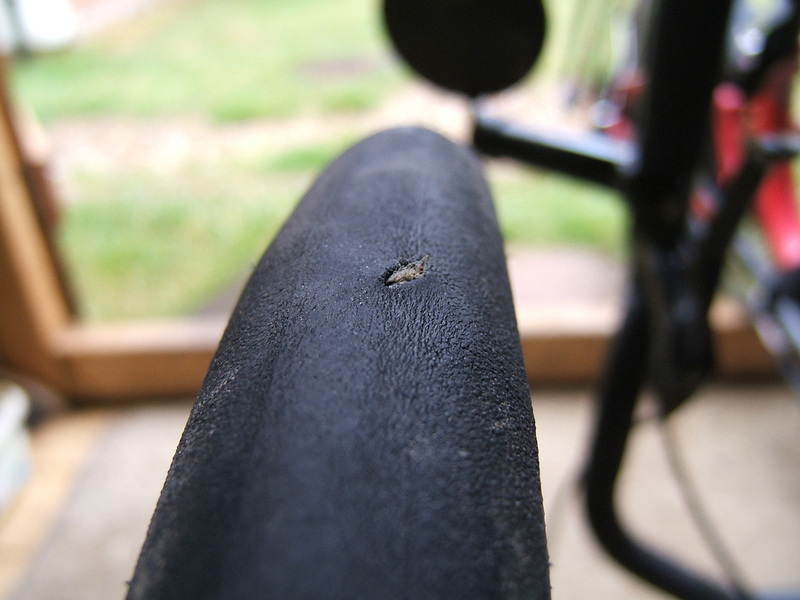 My rides sometimes encounter a few flints, which used to cause me some punctures on the old two wheels. Sometimes broken glass and hawthorn twigs , the latter struck the Kenda on my trailer but not the trike. I’m curious about your comment that your Garmin satnav needed recalibration when you changed tyre size…. I use a Garmin Edge 510 (and have used both 500 and 800). Both measure distance & speed via GPS unless an ANT wheel speed sensor is present. When the sensor is present they all autocalibrate for the wheel size… (I use a speed sensor for improved accuracy on my racing bike). Have you missed this autocalibration mode or am I missing something? I was referring to my normal bike computer (with a magnet on the wheel) which I calibrate to the Garmin (which I assume is correct and doesn’t care about wheel sizes). I have both options on the trike in case the Garmin runs out of batteries – I have a backup of my distance with the normal bike computer. But I’m picky enough to want to get it as close as possible to the Garmin’s accuracy. Moving from a bike computer that needs a new battery every couple of years to one that needs charging from USB every couple of days is a pain when touring… Hadn’t tried the tandem computer approach. I have also ridden with the wider standard Marathons previously and noticed no difference in rolling effort between the 1.5 or 1.75 widths. The Marathon Plus has a very different feel – a harder compound and a very different rolling effort. It is definitely not a tyre for me but it suits others well.